A vegetable-tanned leather belt made in Fjällräven's Swedish belt factory. A lovely rustic leather with an open grain surface than will only get better looking the more it is used. 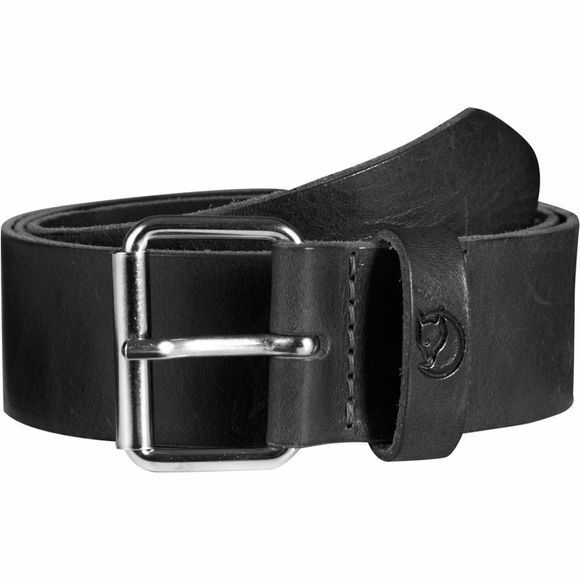 The Singi Belt is four centimetres wide with a silver coloured buckle.